With the changing fashion trends and craze every now and then, it is impossible to keep ourselves updated and spend our money on each and every style postings. Designer clothes are candy to eye balls but can sometimes bring us down in terms of budget and price line. We are constantly introduced to latest inclinations and chic styles and are allured to buy them. But spending our hard earned bucks every time is not a smart way. We live in a digital age where calculators, calendars, alarm clocks have been replaced by a single functioning unit – Smart Phones. With wedding season around the corner, market place is flooded with customers looking for designer apparels and wedding clothing. These clothing are quite expensive and are worn just on the special day. So why do we need to block huge bucks on clothes that will be trashed in the back of the closets. People are growing smart these days and are opting for rental clothes and dresses. This not only saves money but we don’t need to compromise on fashion by wearing same clothes every time. Rental stores are offering ethnic and western wear for both men and women for all occasions. 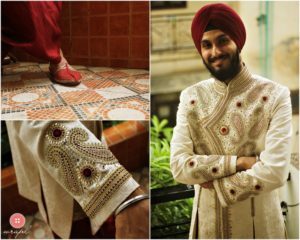 This entry was posted by Wrapd Rent A Party Dress in Wedding Dress and tagged sherwani on rent.